Festival attendees will receive an email notification providing them the location two weeks before the event. Ticketed events are all inclusive of food, drinks & gratuity. Each Event is limited, so get your tickets before they sell out fast! 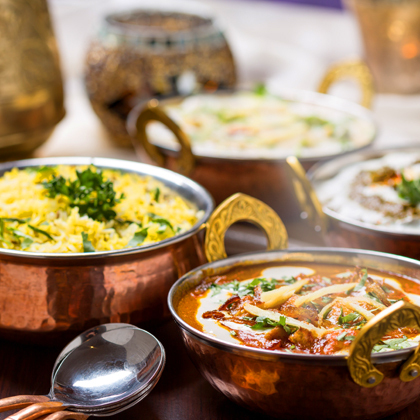 Join award winning Chef Rosh as she travels to Ocala to serve up her unique Indian fusion style of cooking. In 2009, Roshni was awarded “Chopped Champion” on the hit Food Network show Chopped. In 2012, Roshni was a contestant on the very popular FOX TV show Hell’s Kitchen with Michelin Star chef Gordon Ramsay. She was the only chef among 18 that Chef Ramsay addressed as a “passionate, well-rounded chef that blended flavors magically.” In 2017 Roshni participated in the hit Food Network show Cut Throat Kitchen. In May of 2018 Chef Rosh competed on the popular show “Beat Bobby Flay”. Roshni is also an active member of “I’ll have what she’s having” a non-profit Chef driven organization supporting single mothers and healthcare plans. Chef Gurnani has also cooked at the James Beard House in New York with an all female team creating a 6 course vegetarian Indian inspired menu. Apart from her traveling, Chef Roshni has her own catering and consulting company, as well as, she is published cook book author. Chef Rosh will be joined by the festival’s favorite mixologists, Shelby Goelz and Brenda Terry, who will be mixing libations to compliment Chef Rosh’s creative cuisine.